On Hiatus: The Fallen Angel Cemetery has been dark since Halloween 2016. 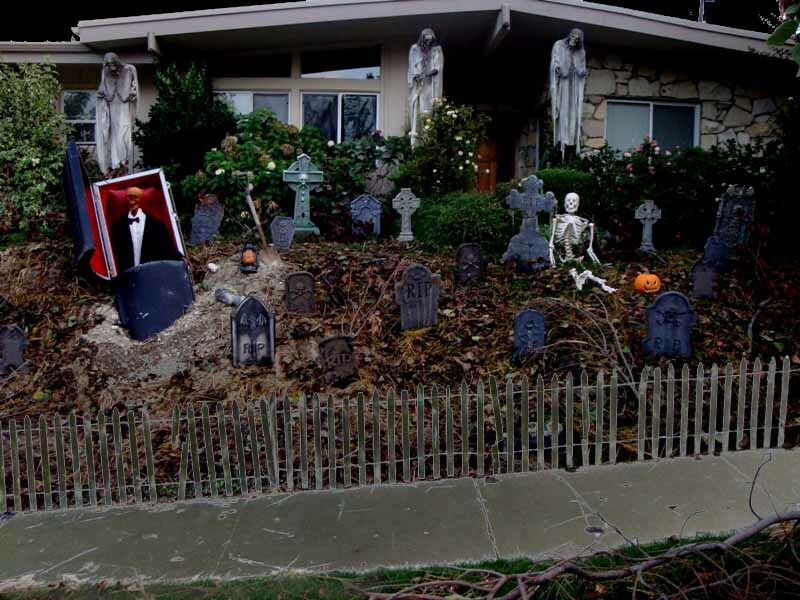 The proprietor promises to reopen his yard haunt the next time Halloween falls on a Friday or Saturday. 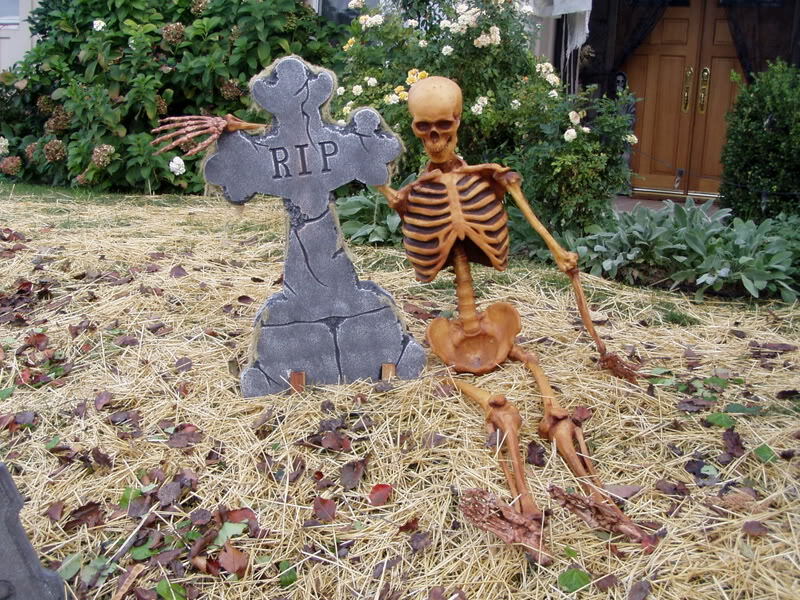 Fallen Angel Cemetery took a classic approach to Halloween - spooky, not gory, decorating its front yard with skeletons, tombstones, and bodies, while light and sound effects created the illusion of lightening, thunder, wind, and rain. 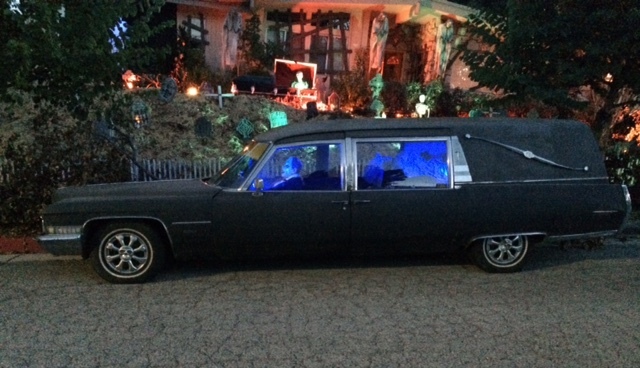 A hearse parked at the curb had the Phantom of the Opera (Lon Chaney version) in the driver's seat and a "passenger" in back. Fallen Angel Cemetery provided good fun for neighborhood families. 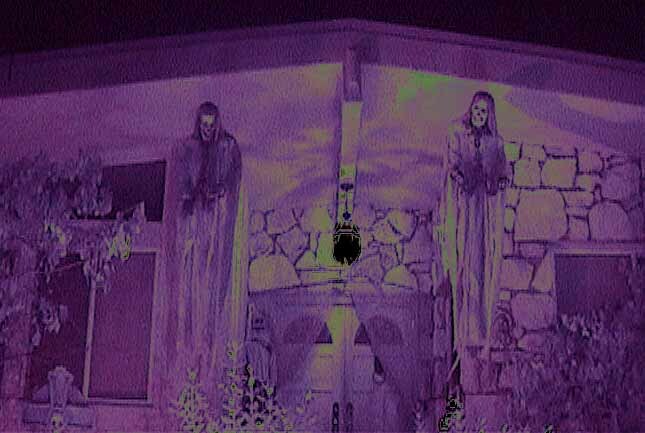 Also, its was in the same general area as The Haunt with No Name Yet and the House at Haunted Hill, making it a convenient addition to our suggested Halloween Haunt Itinerary for Woodland Hills.